There aren’t many things that are guaranteed in life. The sun will always come up. The sun will always disappear below the horizon no matter where you are in the world, and any released version of Call of Duty will always be extremely popular across PC, Xbox, and PlayStation 4. 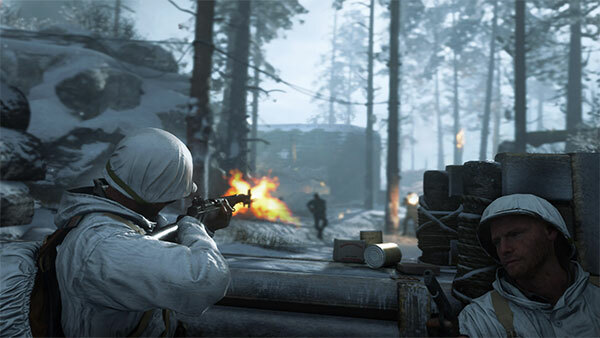 However, as much as the success of Call of Duty is guaranteed, this year’s release, Call of Duty: WWII, has blown everyone away with just how popular it appears to be, raking in more than $500 million in global sales in its first three days of availability. Activision is always extremely proud to take the plaudits which come associated with each Call of Duty release. However, the company has recently released figures which show exactly how well the throwback to the World War II era is actually doing. In its first three days of availability on a global level, Call of Duty: WWII accumulated revenues which amounted to more than what Wonder Woman and Thor: Ragnarok could gather combined, on their respective opening weekends. Granted, theater tickets cost significantly less than a modern video game like Call of Duty, meaning you physically need more people to attend those screenings to achieve the same revenue, but the comparison is still mind-blowing considering the global popularity of Marvel and DC movies at the moment. Initial sales of Call of Duty: WWII are also double that of sales of last year’s Infinite Warfare during its opening weekend. Taking the franchise back to its roots by stepping away from modern or futuristic storylines to focus on important events during World War II was always going to increase the popularity of the franchise with purists, but to double sales of last year’s offering is staggering. We challenged our players to get their squads back together and they answered the call, with the highest number of players we’ve ever seen on current gen consoles and PC. Call of Duty: WWII returns the franchise to its roots and the results are incredible, selling twice as many units in its opening weekend as last year, and setting the day one record for full-game downloads on PlayStation 4. Our $500 million opening weekend was not only bigger than Thor: Ragnarok’s, it was bigger than the opening weekends of both Thor and Wonder Woman combined. And we’re committed to supporting the community with continuous improvements and new content. Gamers around the world have been hyped for months about the release of WWII, and it seems that they are most definitely putting their money where their mouth and excitement previously was. For those who care about solo campaigns, is there anything worthwhile in this game? It’s literally just you and that one other guy that care about solo campaigns. Well then me and the other guy would like answers, not useless comments. Which is also what he’s called at his cuckold parties. Go watch a YouTube review you useless cuck. Hey. Yes, I’m a big fan of the campaigns and I can say that I’ve completed my first run and it was a great experience. It doesn’t hold back showing you the horrors of the world war and I say give it a try. I never played IW campaign because it just looks garbage too me as a whole game in general; only bought it to get MWR. Cheers. It’s so awesome. The campaign is really good.